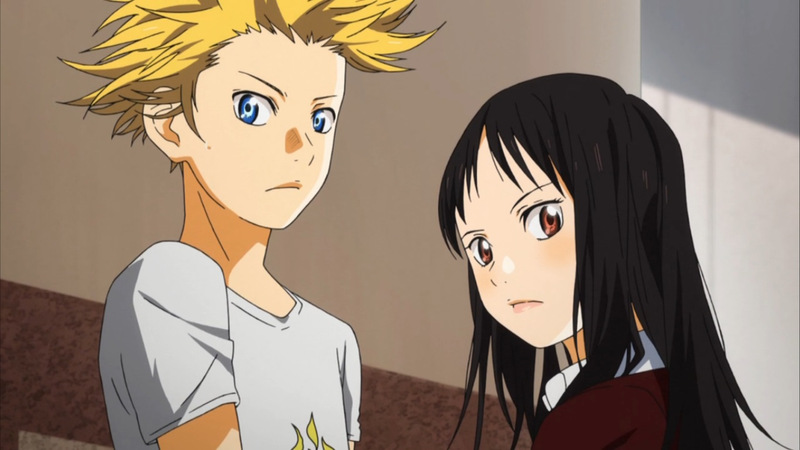 Kosei has two close childhood friends in the form of Tsubaki Sawabe and Ryota Watari, Kosei is introduced to Kaori through these two and is led to believe that her and Watari are an item. It’s a misunderstanding that never really gets cleared up until much later in the series, although truthfully this works in Your Lie in April’s favour as while it plays with Shojo ideas it’s not a Shojo series and keeping away from the love aspect early on means it can truly favour the main aspect of this show: music. Kaori likes Kosei, she wants him to be her piano accomplice in a competition she’s in and begs and pushes him until he finally agrees, despite still not being able to hear the music he plays at all. However this performance with Kaori turns out to be a turning point and Kosei, gently pushed along by his friends and Kaori, slowly gets himself back into playing piano. This move also leads him to being reunited with two of his childhood rivals in the form of Takeshi Aiza and Emi Igawa. Both were inspired to play piano and becoming better at it because of Kosei and both are deeply disappointed when he makes his return and seemingly has lost all of his previous ability. 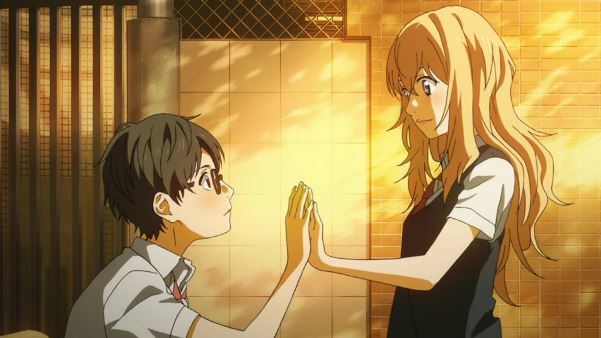 Your Lie in April does a lot of things right, but sadly Takeshi is not one of them. While they explore Emi quite soon after her introduction we don’t truly learn about Takeshi until fairly late on and by then his character is a lot less important. It never feels like we truly know his character up until that point and when he plays such a big role in the series it’s disappointing. Watari feels into the same boat for the most part, but we do seem to get to know his character quick enough that we understand his actions in later episodes enough to not be put off by the fact we haven’t spent enough time with his character to truly know him. 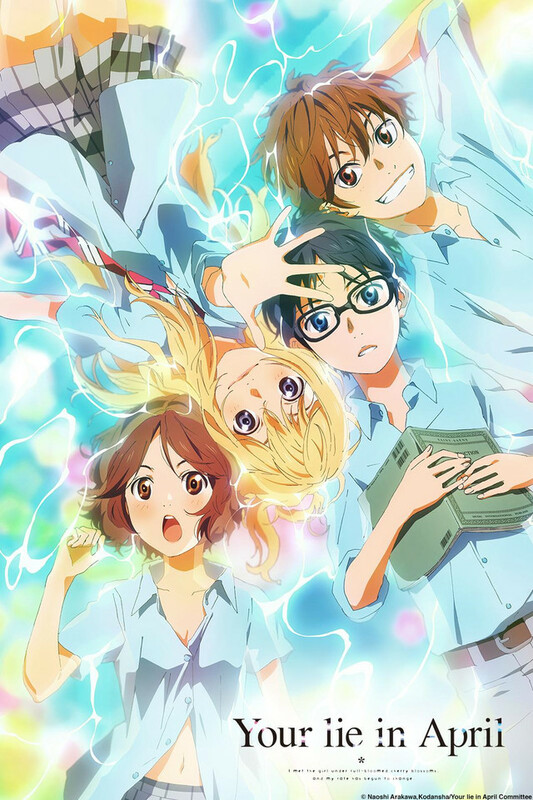 Your Lie in April’s biggest strength lies in its music undoubtedly though. 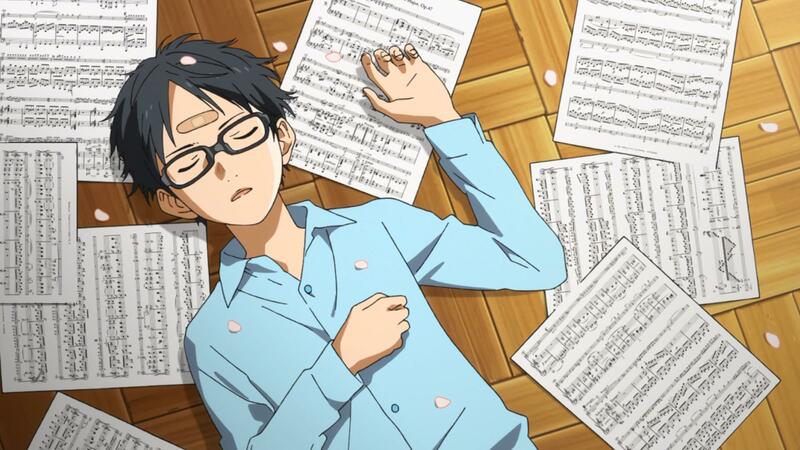 A lot of music shows of lesser quality come and go, but even among the better music shows such as Kids on the Slope for example Your Lie in April outdoes them all. Performances hold so much emotional weight that they’ll send shivers down your back and have you smiling like a fool or in floods of tears. Whatever the performers are feeling we’re feeling too and A-1 really have done a simply outstanding job with the music and these scenes. There is one track that is played at the end of every performance host before the crowd react to what they’ve seen and the moment you hear it so much tense is lifted, it’s truly a special feeling. The soundtrack for the series comes in at a massive 33 tracks and I’m not convinced there isn’t another on the way because Your Lie in April is just packed with musical tracks, even during the moments that could have very easily reused earlier tracks we’re treated to something new and pleasing to the ears. 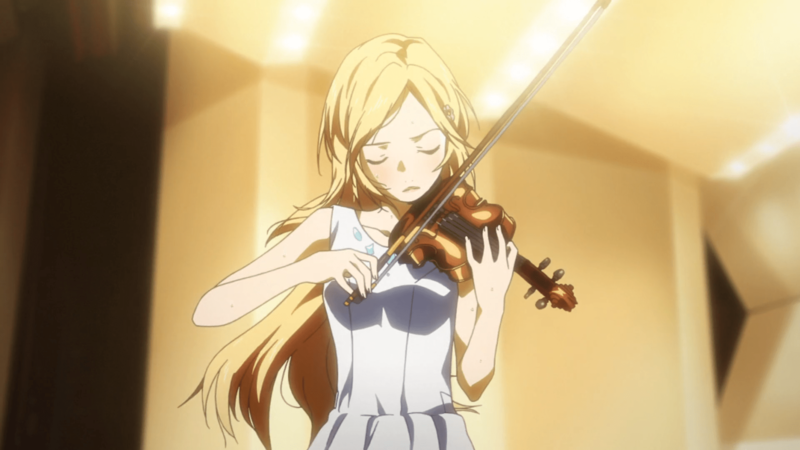 Your Lie in April may be a musical series but it has a lot of drama going for it as well. Kosei has a number of problems to work through due to his past and his mother and while sometimes the show seems to let us almost drown in the drama it’s here to lift us up with some comedy moments as well. The comedy doesn’t always feel like it works, but for the most part it does its job and certainly doesn’t impact too badly. 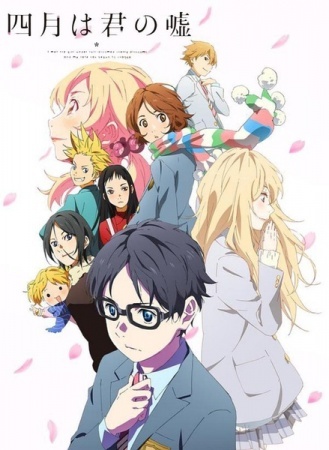 Overall Your Lie in April doesn’t really disappoint in anything it attempts and while I am certainly sad to see the story end the series does end on a happy note and feels like its time had come to a close. Your Lie in April is simply a splendid musical anime packed with drama, fun and interesting characters, and some of the best music we’ve heard in a very long time. It’s not flawless by any means, but it’s not trying to be either. It’s simply trying to tell a really emotional story in the best way it can and frankly it succeeds in most every aspect. I’d highly recommend it to every anime fan, regardless of if you like musical anime or not because this is a must see on so many levels. Your Lie in April can currently be streamed at Crunchyroll right here. The original manga has also been licensed for English release and the first volume will be released April 2015.